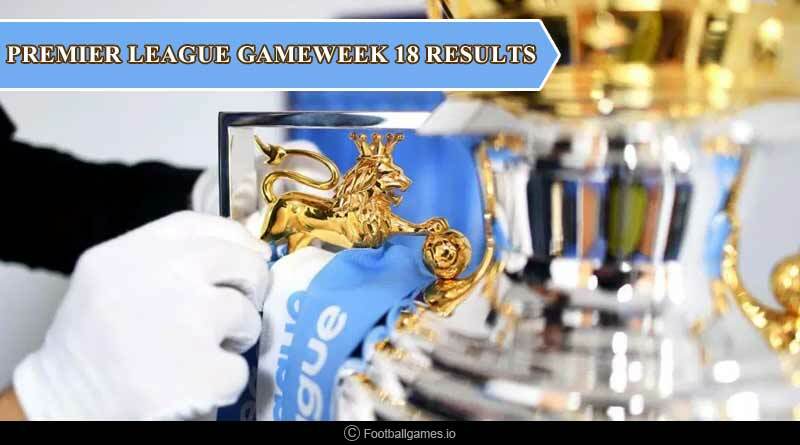 The premier league gameweek 18 results spelt a happy story for Liverpool with the side extending their lead to the top of the table after results worked out in their favour. 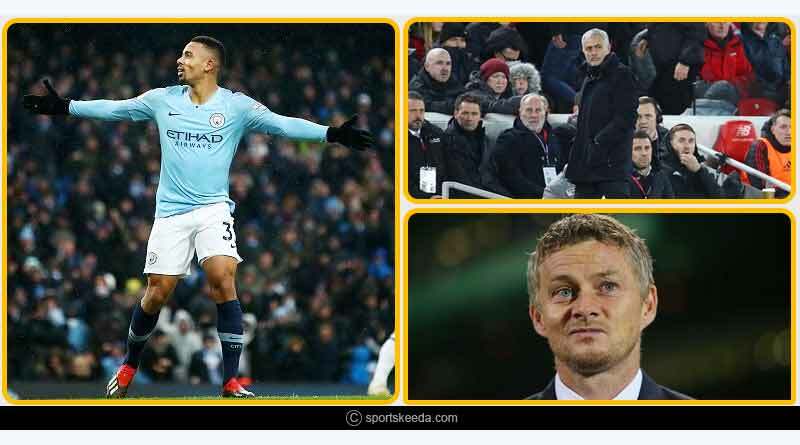 Their 2-0 win away at Wolverhampton paired with a shock defeat by Manchester City at home saw them open a four-point advantage at the top ahead of what will be a crucial juncture in the title race. 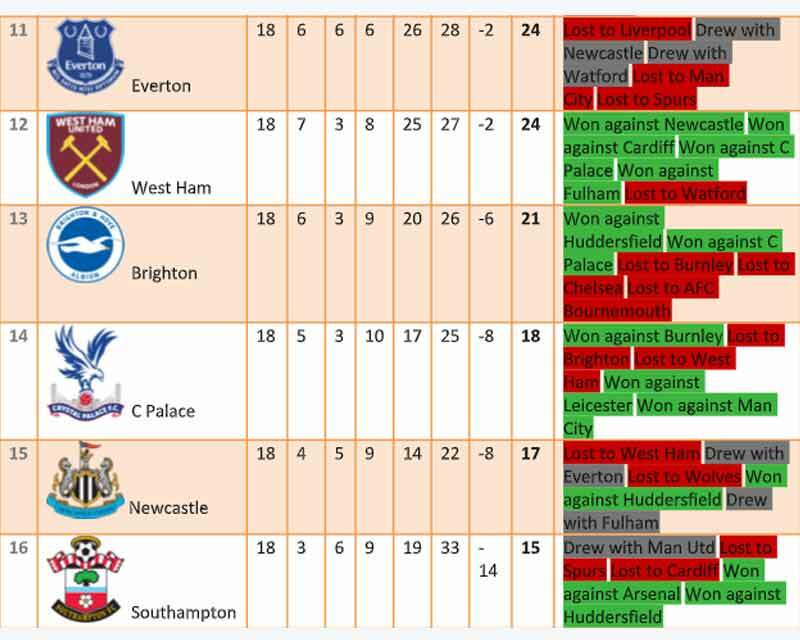 At the bottom, there was movement as well with Southampton’s win against fellow relegation battlers Huddersfield taking them out of the bottom 3 after Burnley slumped to another defeat. 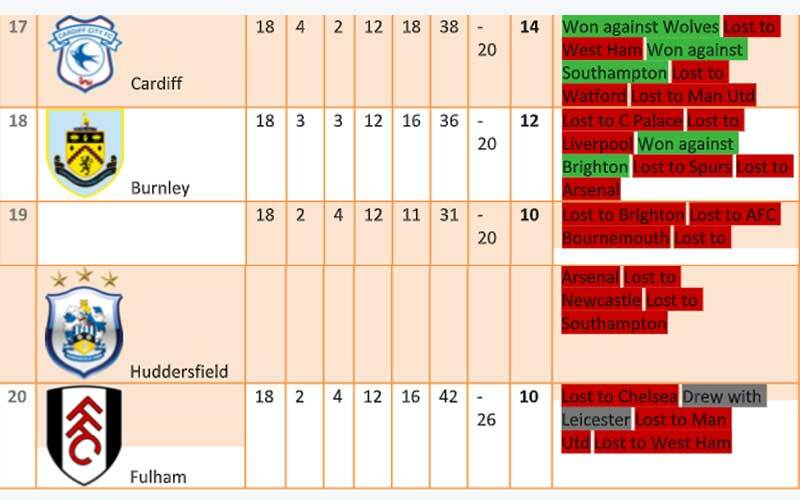 This gameweeks early fixture saw Liverpool travel to the Molineux in what was definitely going to be a tricky test for them. And they were put to the sword by Wolverhampton with the home side displaying the brilliance of their attacking play that has served them so well till now to cause all sorts of problem to Liverpool in the opening 20 minutes. However, the hosts were unable to translate their good work into goals, something that came to haunt them later on in the match. Salah finished with a deft finish to give the tourists the lead against the flow of play. 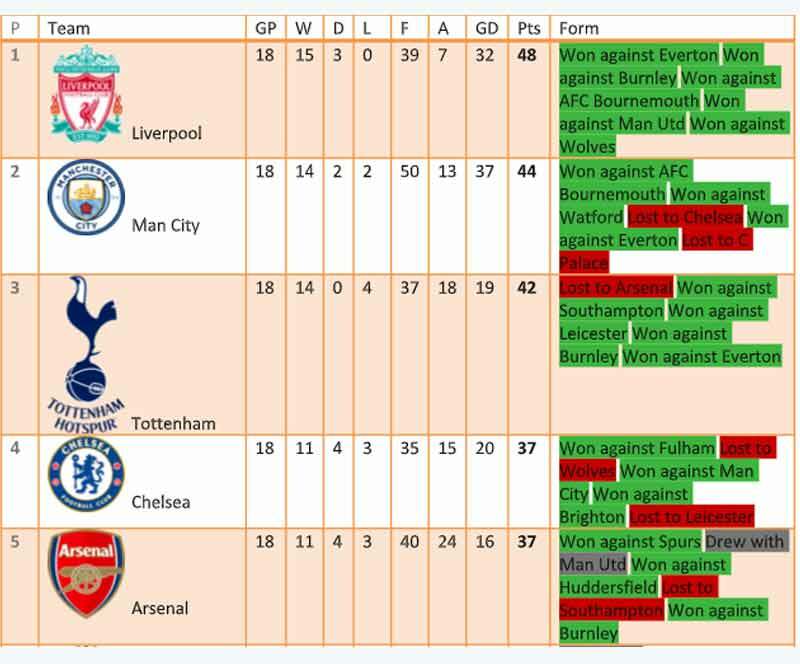 Liverpool was organised from there on as they did a good job of closing out the match before going onto double their lead to remain the only unbeaten side in the league. While it was business as usual for Liverpool, things didn’t go according to plan for fellow title contenders Manchester City who were let down by a poor XI. Crystal Palace stunned and blanked them by scoring three past them, something they were never able to bounce back from, conceding a 3-2 defeat on the day. Chelsea too suffered heartbreak ahead of the festive period with the London based club failing to a 1-0 defeat against Leicester. For all their good work in the first half, Chelsea had no goal to show for it, something that has been their downfall all too many times now. What is more concerning to the side is the way players switch off after conceding a goal, something that is clearly a mental issue at the moment. 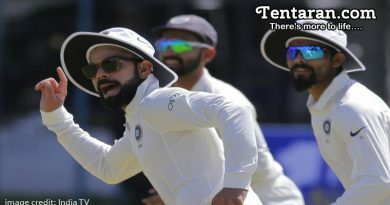 There is no incentive being shown by players to take the match on its head and defeat seems to be a foregone conclusion when they are trailing. 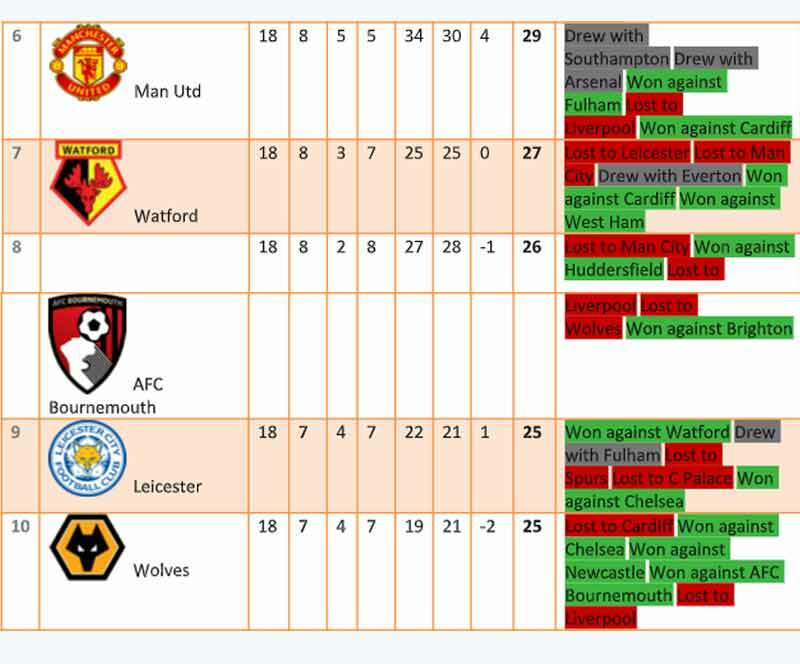 A quick fix is needed if they are to keep their top 4 hopes alive with Arsenal continuously breathing down their necks. Match 31: IPL 2018: RCB vs MI– Who will win the IPL Match Today?